Welcome to Tickle My Tastebuds! Happy to have you join the party each week. Missed y’all last week. The Thanksgiving prep got in the way and you know how that goes….. everything else becomes secondary! I hope you had a wonderful Thanksgiving with family, old and new friends. It was reletivly quite in my little world. Just had the niece and nephew over. Even though it was a small gathering, I still had to make it festive. Remember two weeks ago when I talked about the Pinners Conference? Well, two of the classes I took were for Tablescapes and Party Planning. I took what I learned in those classes and combined them to make a festive, yet casual, Thanksgiving tablescape and meal. From appetizers to desserts, we all want that delicious holiday party food to be something our guests keep coming back for. And tis the season…. Our social calendars start to fill up with parties, gatherings, shopping, white elephant events and more. And, it’s nice to have some go-to food items to share. That is why I’m featuring holiday party food this week. As we ramp up for Christmas, it’s nice to have a recipe or two in our party arsenal to pull out when needed. Now… Lets get Tickle My Tastebuds going! I am so happy you are here! If you are new here, welcome! If you are returning to this fun party, welcome back! Each Tuesday, I will be partying with you and our guests as you Tickle My Tastebuds! Thank you for making the last link party another success. You are all amazing. THANK YOU for coming each week to Tickle My Tastebuds!!! 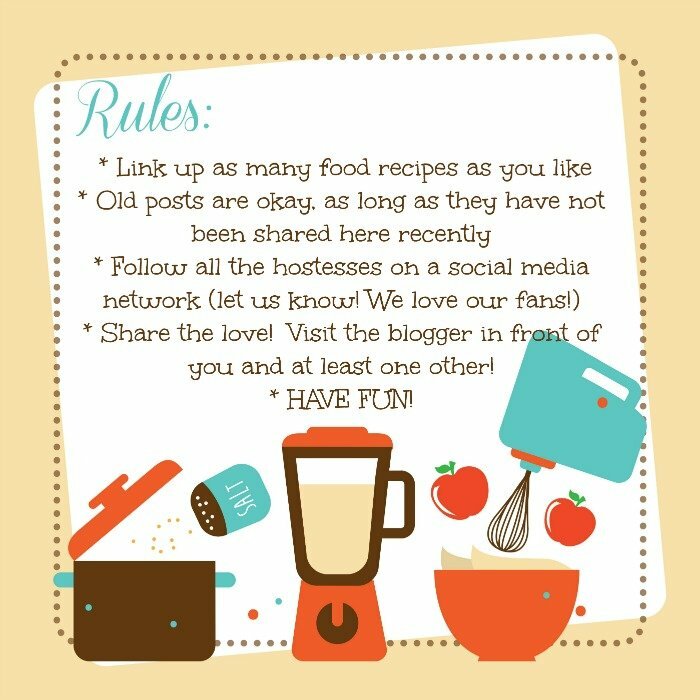 Please note, by linking up your posts and recipes, you are giving Lori’s Culinary Creations permission to use your photos in the featured posts and on social media outlets. All photos will be linked back to your sites and respective posts. Each week, I will choose recipes from the previous week to be featured! Each featured recipe will be pinned! Now, for this week’s featured recipes! Now, let’s check out these awesome recipes for holiday party food! If you were featured, grab this cute little button for your blog. Follow Lori’s Culinary Creations’s board Recipes from Tickle My Tastebuds Tuesdays on Pinterest. Thank you so much for including my baked Brie bites. I hope you enjoy a wonderful day filled with joy! Enjoy your week and thanks so much for the party! Thank you for the feature of my goat cheese cheesecake, Lori! I’m so glad you like it 🙂 Have a wonderful week. Thanks for hosting another fantastic party!